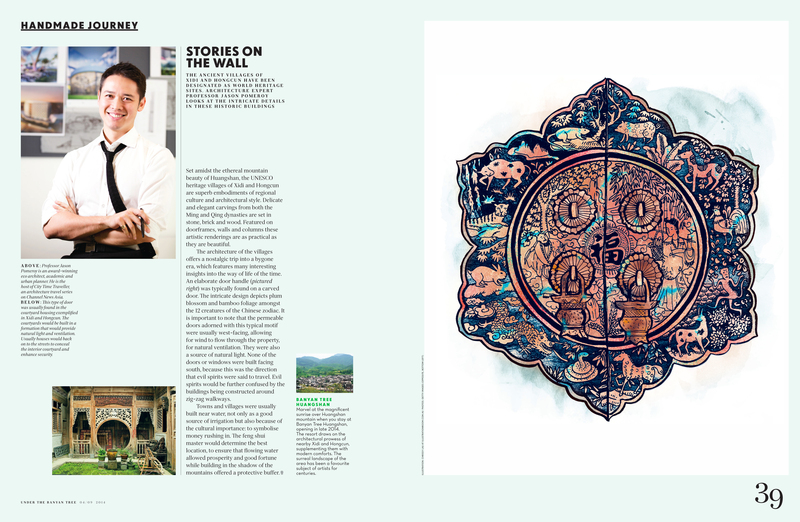 BANYAN - Commissioned by Under The Banyan Tree magazine in Asia to draw a historically accurate door handle. "Set amidst the ethereal mountain beauty of Huangshan, the UNESCO heritage villages of Xidi and Hongcun are superb embodiments of regional culture and architectural style. Delicate and elegant carvings from both the Ming and Qing dynasties are set in stone, brick and wood. Featured on door frames, walls and columns these artistic renderings are as practical as they are beautiful. 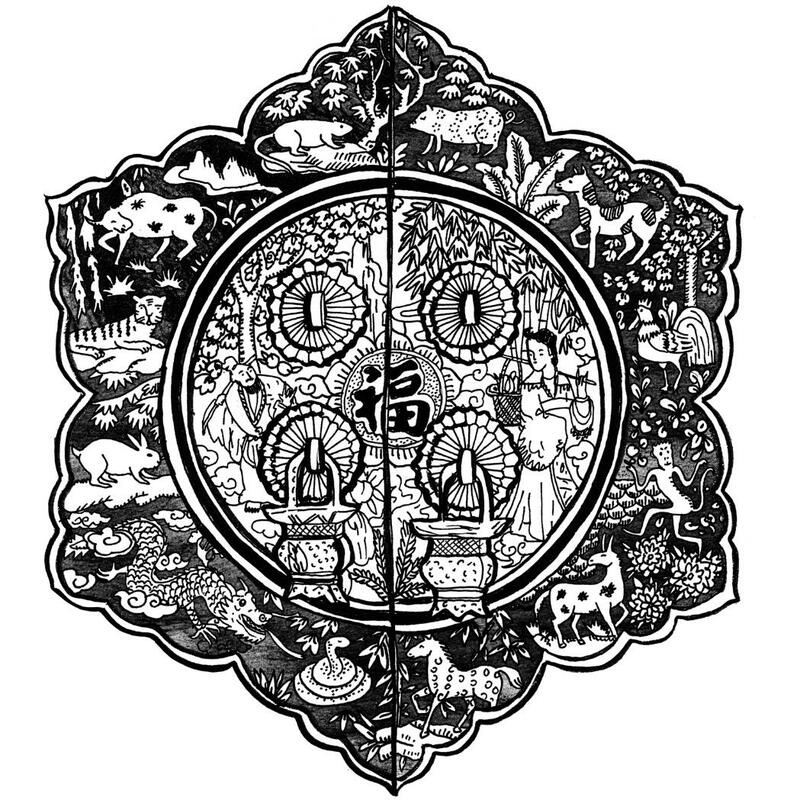 The intricate design depicts plum blossom and bamboo foliage amongst the 12 creatures of the Chinese zodiac. It is important to note that the permeable doors adorned with this typical motif were usually west-facing, allowing for wind to flow through the property, for natural ventilation. They were also a source of natural light. None of the doors or windows were built facing south, because this was the direction that evil spirits were said to travel. Evil spirits would be further confused by the buildings being constructed around zig-zag walkways".